In one of my previous articles, I mentioned about my favourite calendar application – Sunrise Calendar – which is shutting down. This made me switch back to Google Calendar over the last month. During this period, I also found another free calendar application called SolCalendar. There are a few things I miss, but overall I am happy with my Google+Sol Calendar combination. I think SolCalendar is a “pretty cute” calendar. If you don’t believe me check this video out. What do I look for in a Calendar Application? Both Sunrise and Google calendar has all of these feature. As a couple who really live up to the philosophy of “opposites attract”, between me and my husband, we have a variety of devices – Samsung Galaxy phone, iPhone, Macbook and Windows desktop. So I we really need a cross-device compatible application. And for times when we are abroad and/or in a “no-internet” zone, how can I forget offline capability? Sunrise and Google calendar are both perfect at this too. I use the calendar application in various views when I am planning. I do my weekly planning on Sundays over coffee and I love to see the Monthly and Weekly views. But on a day-to-day basis I prefer the Agenda view which just shows me the appointments for the day. Both Sunrise and Google offer Day, Agenda, Weekly and Monthly views. Agenda view is the one where only the appointments are shown, and this option is not available on Sunrise Calendar web version. Instead, Sunrise Calendar had a day view where you can see an hour-by-hour timeline. 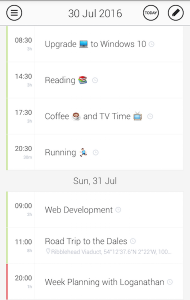 Now using SolCalendar, I have this handy widget on my mobile where I can see my tasks and appointments for the day. But since I started using Google Calendars (web version) for planning, I noticed a couple more views that are really handy. Custom “Working” hours: I prefer to see my calendar for a specific time slot. For example, if you used your calendar for work appointments, all your appointments are going to be between 9 AM and 6 PM. So why even have a set of empty hours show up? 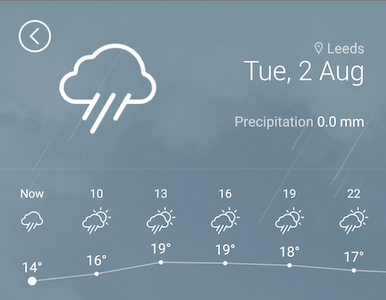 Google Labs has a “Hide morning and night” feature which allows customisation of the timeline so it only shows the hours you want to see. You can still see a cut-down version of the appointments you have outside these hours which can be expanded any time for more information. Custom Views: Sometimes when I am away on holidays for a fortnight, I like to see a custom view of 2 weeks. 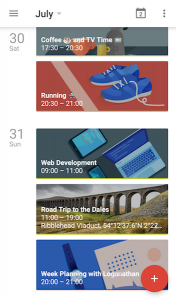 Google calendar has some present custom views (e.g. 2 to 7 days, 2 to 4 weeks). This is also handy if you plan twice a week or once in 2 weeks, because you can set up a custom view of 4 days or 2 weeks. Before there was Google Calendar, I used paper planners and I was madly, deeply, passionately in love with Erin Condren Planners. I loved them until they became an “extra baggage” (in reference to portability – not relationship baggage). 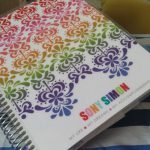 If you know anything about Erin Condren Planners, you will understand my love for colours. Here is a picture for your reference. 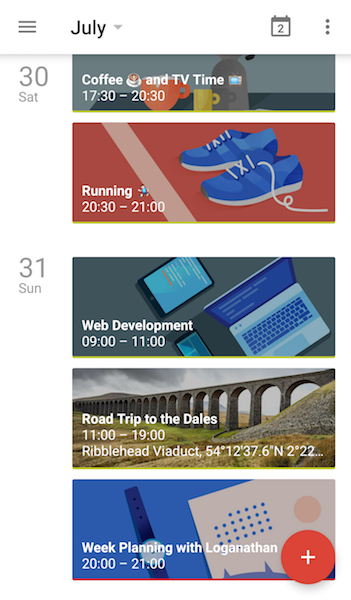 Anyway, with Google Calendar I had the flexibility of having different calendars. And with each calendar came a new colour. Sunrise calendar had the exact same feature. This was immensely helpful because I had my husband’s work schedule set as one of the calendars. And previously when he used to travel extensively for work, I would have a lot of appointments on his calendar. Now I had his calendar colour set to grey so I could kind of ignore it. But with multiple calendars, this meant I could also “switch off” his work calendar when I was doing my daily tracking. 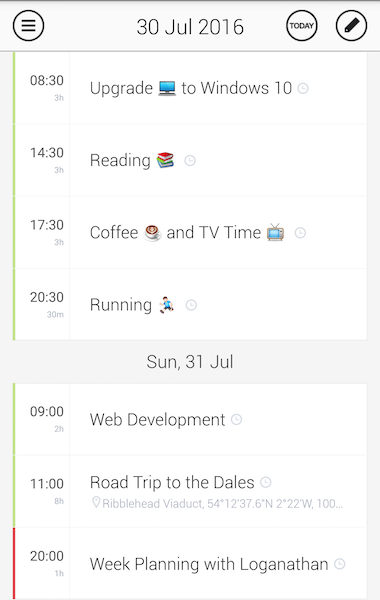 Both Sunrise and Google calendar has options to customise the week start days (either Monday or Sunday) and time formats (either 01:00 PM or 13:00). And I can have different timezone in both calendars. If there is one thing I miss about Sunrise, this is it! Sunrise calendar helped me see all calendars in one place. 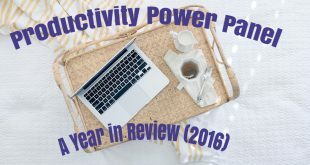 I actively used Sunrise to integrate my personal and work calendars (Google and Office365) and also managed to get my task reminders from from Asana and Evernote in one place. I am now using Outlook to view my Office365 calendar. But that is another to have on the phone. I will survive with that! But there is no replacement for a calendar integrated task management application yet. Over the last couple of weeks, I have resorted to using Google Tasks. Google Tasks is a very simple task manager with no concept of priorities of labelling. This is where Sol Calendar comes in. Using Sol Calendar, I can use colour to label and prioritize my tasks. This is not the best solution, but I am trialling this out for now. I can only hope Asana brings in two-way integration with Google Calendar or I will need to say goodbye to one of my favourite task manager applications. In fact, I stopped my Todoist premium subscription just because of the calendar synchronisation aspect. Google has provided the Google Calendar API, so I am hoping the wonderful crew at Asana will do something about it soon. With Sunrise Calendar going away in another 25 days, what is the calendar application you have chosen? How are you managing your integrations? What else are you missing about Sunrise Calendar? Let me know your thoughts in the comments below. If you are interested in a detailed review of SolCalendar do drop me a note. Thanks for the offer Sherri, but I like to create my own content. 🙂 I will let you know if any of my friends would like to take you up on your offer. Howdy very cool site!! Man .. Excellent .. Amazin .. I will bookmark your web ste and take thee feeds additionally? I am happy too seek out a lot of helpful information right here in the post,we need develop more strategies in this regard, thank yyou for sharing. I use Erin Condren planners too and have been using the over the last 3 years. But I am not impressed with the colours for 2017. I think I will try Google Calendar. Best Advice ever! You are a genius Sony. You should be writing a book or something. You are sooo good with all these softwares and tools. Thanks. This is just what I needed. Going to move to Google Calendar from Filofax.